Aluminium garden edging. 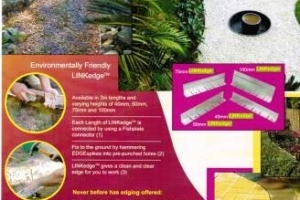 Ideal for between paving and lawn as well as a garden bed edge. Uses pins to hold in place and can be straight or curved.